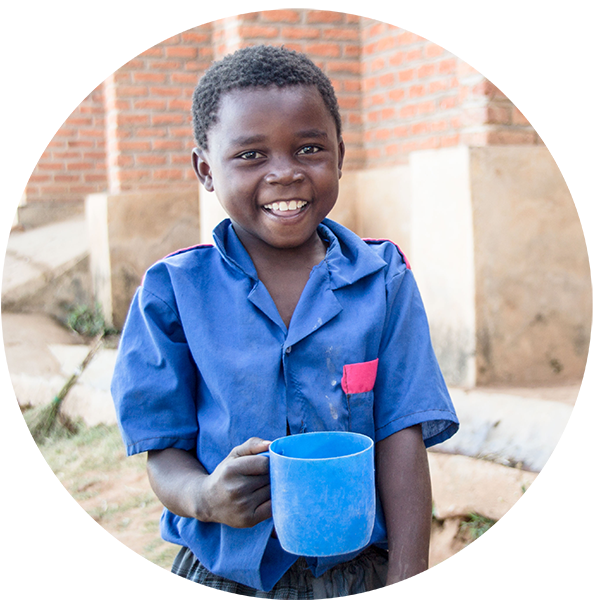 Learn about the pre-school children receiving Mary’s Meals in Malawi. Many children spend the first six years of their lives soaking up massive amounts of information from the world around them like sponges. These early years are critical and play such a vital role in shaping who they will become in the future. In Malawi, Mary’s Meals provides a nutritious daily meal to pre-schoolers in more than 50 Early Childhood Development centres (ECD). These ‘nazarés’ or nurseries are run by volunteer caregivers, who look after the children, and – through song, dance and play – guide them through this important time. 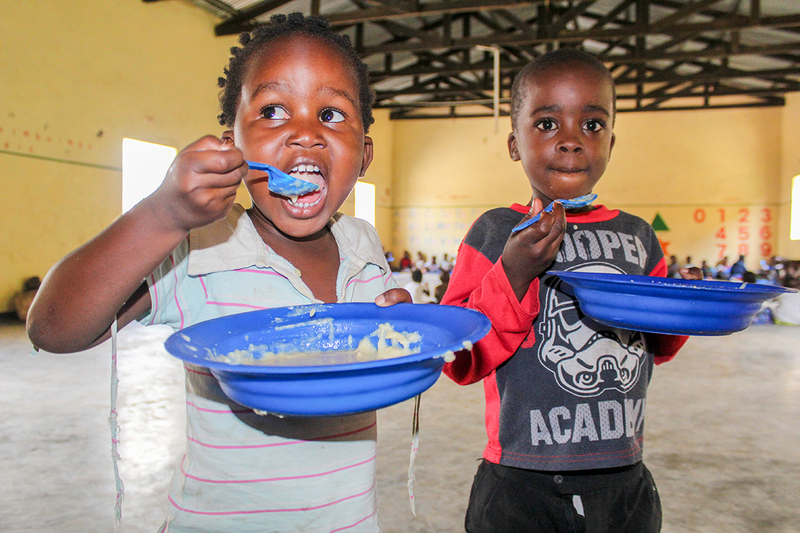 These little ones will continue to receive phala (porridge) once they graduate to Standard 1. Philip knows the truth of this statement better than anyone. Now in Standard 3, he first began receiving phala at the nursery centre in his village. Back to today’s learners, and the smiles of the children as they received their plate of phala say it all.